A Samsung Galaxy S10+ version has surfaced on AnTuTu showing a snippet of its main specs and topping the Huawei Mate 20 Pro and its 7nm Kirin 980 chipset. 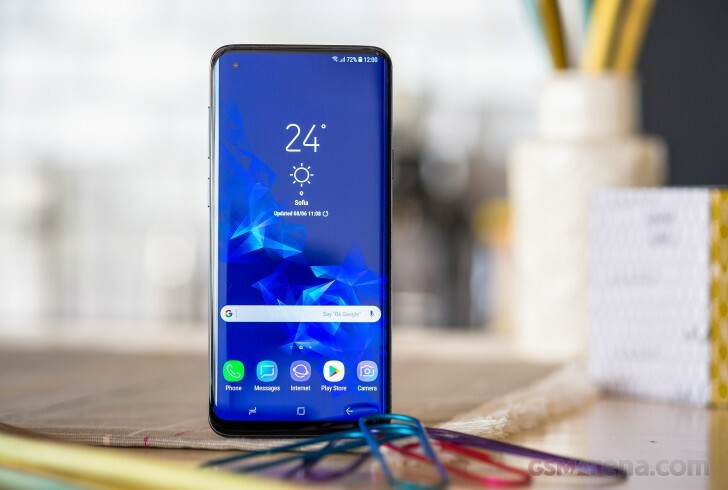 According to the specs, the SM-G975F – likely to be called Galaxy S10+ – has a 6.4-inch display of 2280x1080px resolution (likely due to the software being set to a lower resolution), runs Android 9, is powered by an 8nm Exynos 9820 chipset with 6GB of RAM and 128GB of on-board storage. It posted an amazing benchmark score of 325,076. The posted result beats the official AnTuTu score of the Huawei Mate 20 and Mate 20 Pro but falls short of the result captured by the Snapdragon 8150 platform. The Galaxy S10+ reportedly clocked as high as 2.7GHz during its run. The Exynos 9820 packs two Samsung-developed Exynos M4 cores, two Cortex-A75 and two Cortext-A55 cores. Analysts predict that there’s an even more powerful Galaxy S10 with 12GB of RAM in the making, one with a larger 6.7-inch screen. If we go by the Galaxy Note9, we expect at least one Galaxy S10 model to pack 8GB of RAM or even more.